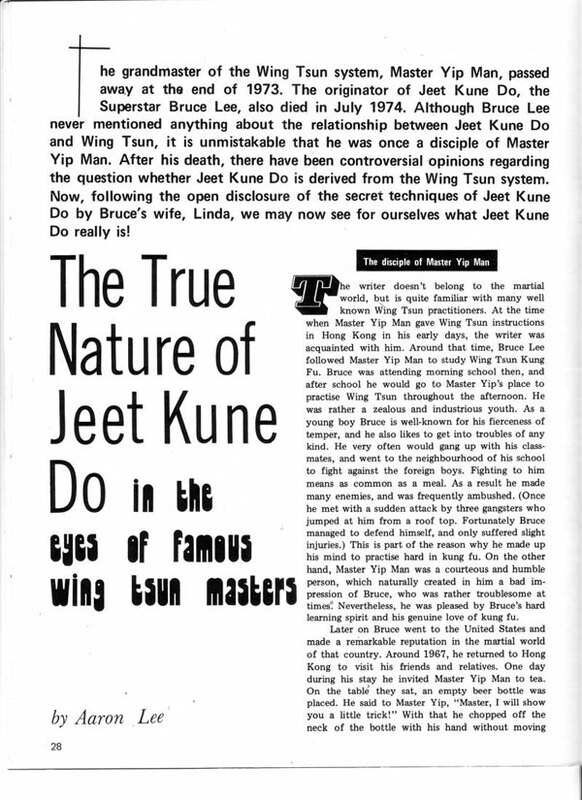 I cannot recall who said it first, and I paraphrase, “If you really want to learn Leung Ting WingTsun®, it is best to leave your ego at the door,” but truer words were never spoken! This mentality is true for any real accomplishment. In any worthwhile endeavor, there is always someone who possesses more knowledge, natural ability, and outright moxie, who can easily bring you back down to size. While this was probably not his/her intention, it is still an opportunity, if your desire for knowledge and personal growth prevails over your ego. God bless these people because they show us what is possible, and allows us the opportunity to take a realistic inventory of our own actual abilities. This is ground zero for future development in anything! People have different levels of curiosity and satisfaction, and we should respect this and encourage our students according to their goals. The goals of the teacher and those of the student are often quite different, and the goals of the student should be priority #1! If your interests extend beyond the average, I would suggest that a fair measure of humility and perseverance will serve you well. Over the years, I have learned two absolute truths: 1) most people sadly give up on something too quickly or retreat as soon as the first obstacle appears, and 2) in adults, the ego and its fully developed powers of rationalization and denial often sabotage their success. If you think I am being overly general or grandiose, you would be quite wrong, because I consider myself equally vulnerable to these pitfalls. 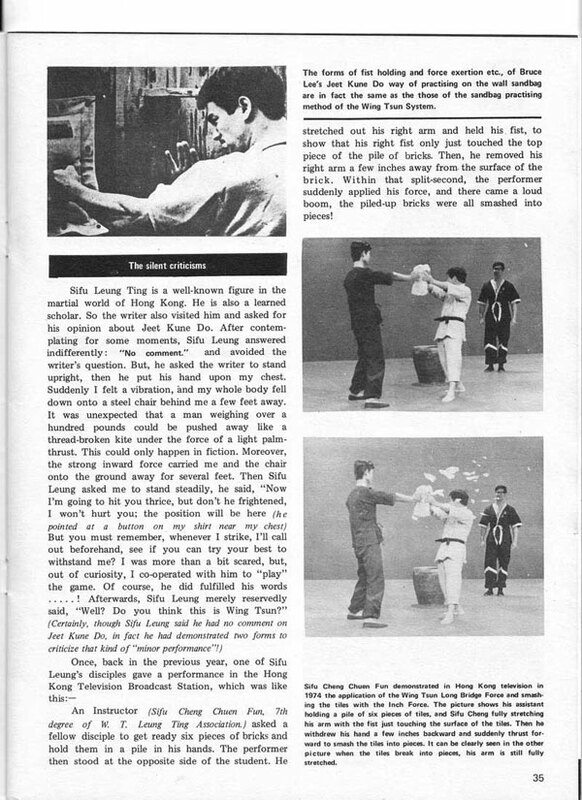 As a student and teacher of Leung Ting WingTsun® for many years now, I consider myself very fortunate to be able to continue to learn this system and receive correction and refinement directly from GM Leung Ting! I don’t count myself as a “know it all”, and I certainly don’t have the insecure compulsion to criticize others in an effort to build myself up! On the contrary, I can say without reservation, that this system of self-defense will keep me continually challenged both physically and mentally as long as I am involved. While I have learned a lot, I remain very happy to continue to learn and practice! THANK YOU SIFU!! We all, by nature, instinctively gravitate towards the easy and “paved” road, yet real growth does not come without challenges and sacrifice! I haven’t found any short cuts, and I stopped looking for them many years ago. 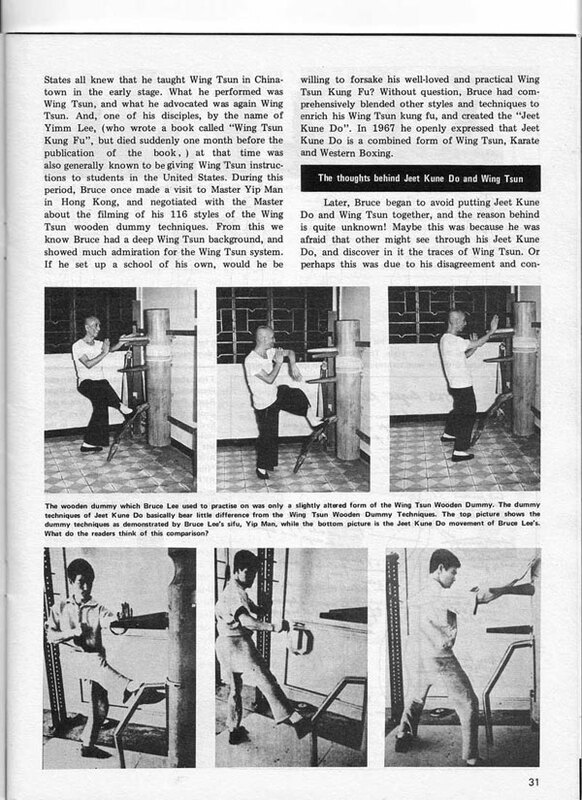 Since I began learning Leung Ting WingTsun®, sometime around 1987, I have had the privilege to learn from many instructors under the IWTA umbrella, and I am eternally grateful to all of them. Each of them has given me a valuable perspective on what I needed to improve myself. My respect for all of them will never be forgotten or dismissed! At a certain point, humility is the deciding factor between growth and development versus stagnation, degeneration and fantasy! For myself, I keep my “doors” open and remain willing to take the next lesson! Learning a new language or how to play a musical instrument is completely analogous to the process and methods of learning WingTsun™. The joy of learning and growing in these endeavors is in fact, the very “steam” which powers this train! As a guitar player, who has enjoyed playing for several years now, and still takes regular lessons, I am continually amazed at the infinite possibilities that can be realized. My limitations and struggles with the instrument come down to basically expanding my “vocabulary”, applying the underlying theory, and most of all, finding the necessary amount of time to practice. Time and how you chose to spend it, is always the critical factor in achievement and breaking new ground. In music, while there are countless modes and scales available to create melody, it is amazing how much music can be created with even a small amount of practical knowledge. The same is true for WingTsun™! While it is universally accepted that Jimi Hendrix had a monstrous amount of technique at his disposal, it is even more amazing to note that practically all of his solos were comprised of his exclusive and imaginative understanding of two very simple five-note scales; the minor and major pentatonic. These scales themselves are very simple and somewhat dull if played straight, yet how he made use of these five notes in his arrangements and musical expressions was virtually limitless! 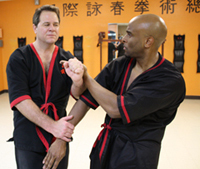 In much the same way, our WingTsun™ system offers us countless possibilities and solutions to various self-defense scenarios, if we are only willing to take the time to practice and consequently discover what is possible! 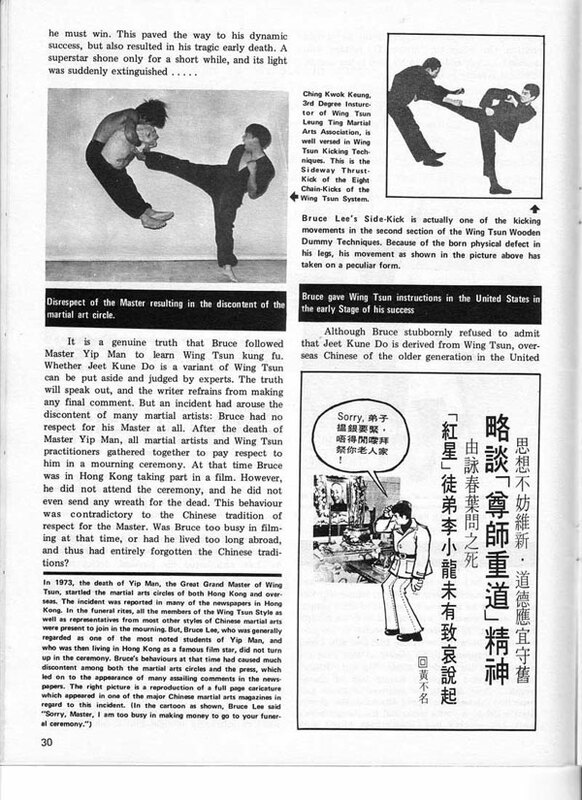 When I first started learning WingTsun™, I like most of my peers would eagerly buy any magazine or book whose subject matter dealt with Kung Fu, and particularly WT, VT, and WC. 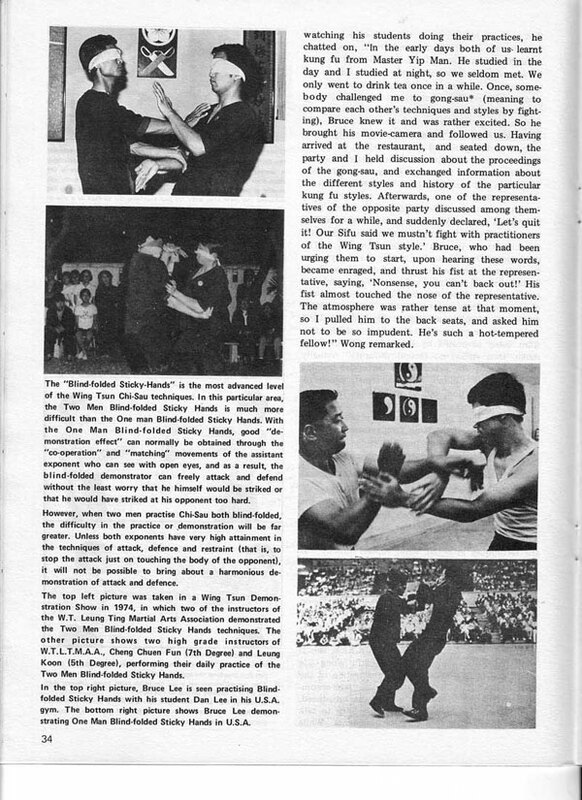 I was always perplexed when the description of WingTsun™ read something like, “a relatively simple system comprised of three empty hand forms, a wooden dummy set, and two weapon systems.” Sounds so simple, right; something you can knock out in a few years! Really? 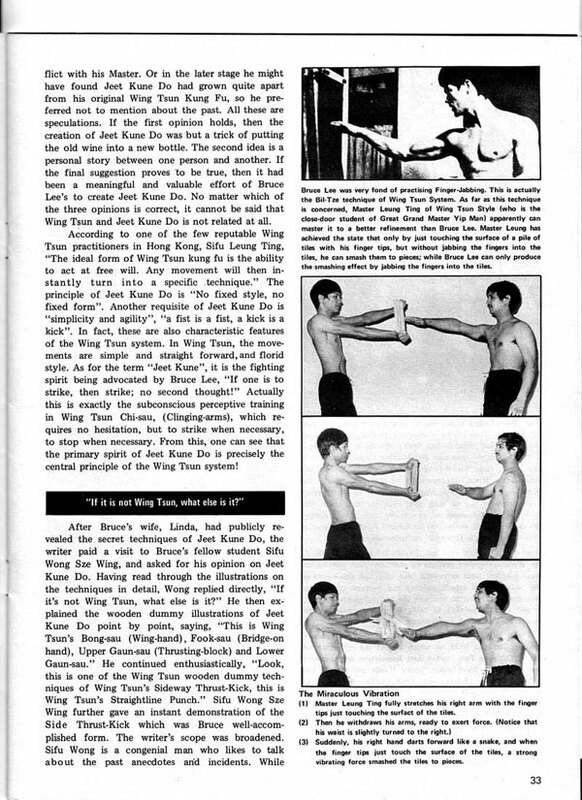 The good news is that it’s quite true that the benefits of learning WingTsun™ can be realized in a very short period of time. Even the most elemental and basic techniques and concepts can be immediately applied. The larger truth however, is that if you really want to be fluent in this “language”, you will have to invest more time than you previously imagined! The treasure is there for those who are willing to persist, stay the course, and dig deeper. This mentality is what separates people of common interest. Like learning music or a new language, each of us has a different level of satisfaction. Some are very happy just to be able to play a few of their favorite songs, or be able to ask for the dinner check in a different language. That’s ok! But if your interest extends beyond the ordinary, you must be willing to dig deep and continually challenge yourself. 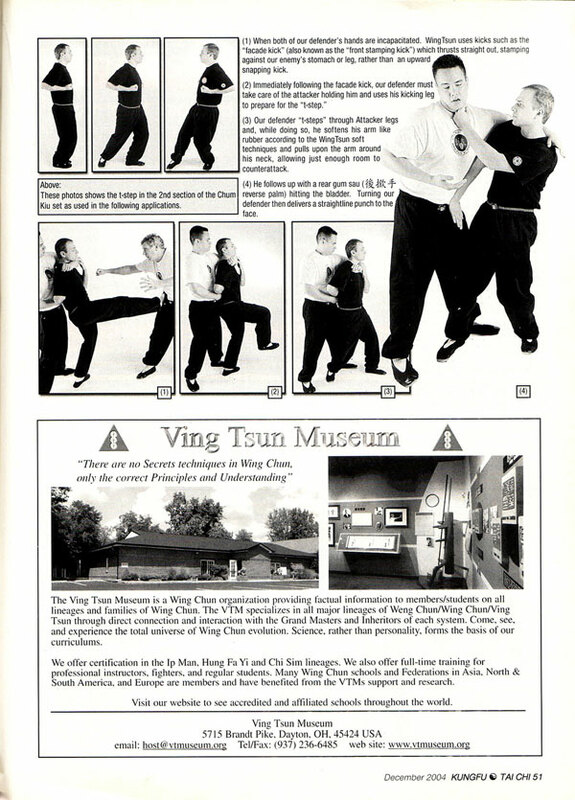 Our WingTsun™ vocabulary, like music and language is quite immense and profound! This presents a problem for those in a hurry who are more interested in quantity than content. Having knowledge of something and being able to freely apply this knowledge are two very different standards. As Grandmaster Leung Ting has said, “Learning is like rowing upstream; either you keep progressing or you drop backwards”. If you can learn to enjoy the process of learning for the shear enjoyment of it, the time will pass by quickly and the results will come sooner. I, personally, am never satisfied with my skills in anything, and will always take joy in my opportunity to take lessons and grow! Hasta Luego! Many people have an all or nothing view of life. They believe that if you cannot do something all the way, don’t do it at all. There is some merit to this point of view but not if it prevents you from forming a good habit. I am sure that you have heard of the “cold turkey” method of getting rid of a bad habit. Some will swear that it worked best for them when they quit eating deserts, quit eating fatty foods or quit smoking. Others follow a gradual plan advocated by counselors or doctors. The opposite can be true of forming good habits. How many times have you or somebody you know started an exercise program and went full-tilt for two or three weeks and then gradually quit? All too often the person trying this method over does it, getting too sore and their body cannot recover fast enough in time for the next workout. This becomes a de-motivating factor. In addition, the time involved becomes interruptive to all the things currently in their life plan. Excuses begin to form and friends start wondering where they are. 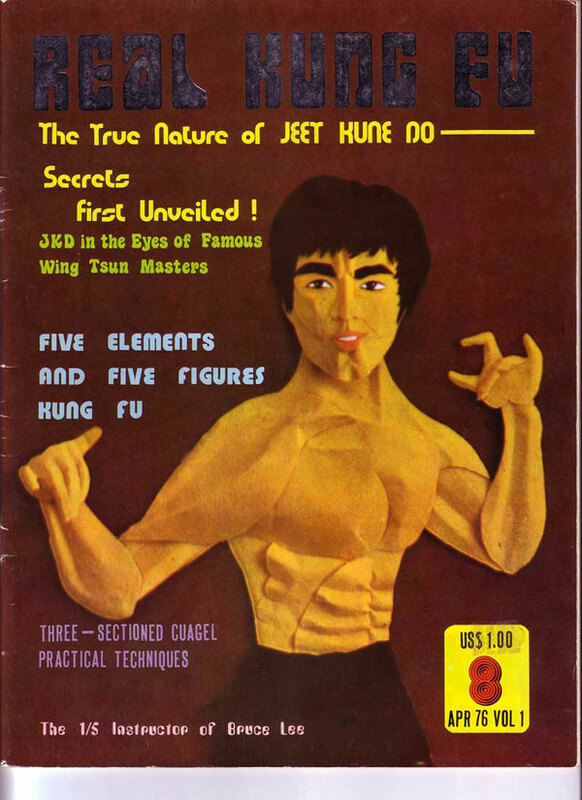 For all these reasons I created a ten minute Wing Tsun™ mind-body training program on a card! 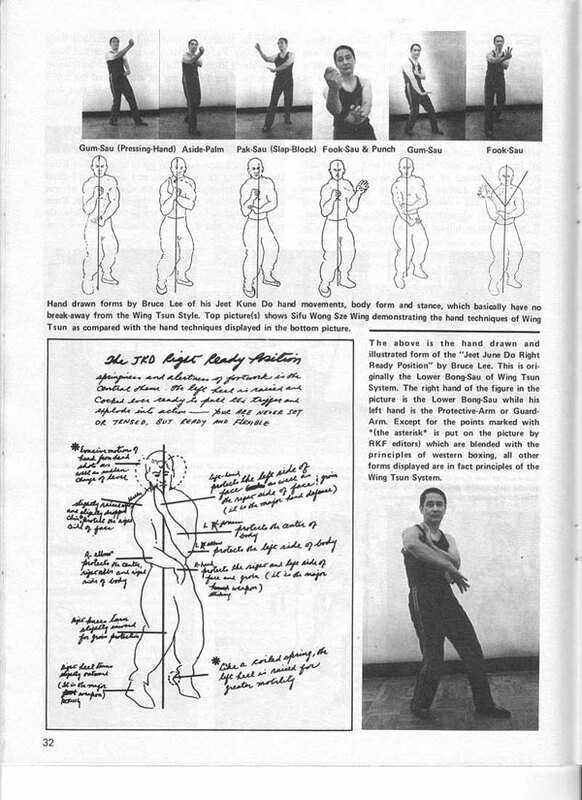 It takes only ten minutes to do several basic WingTsun kung-fu drills chosen for their overall benefit to the fitness and skills of the mind and body compressed into a ten minute period of time. I laminated them onto card stock and students can take them on trips, put them into their gym bag, and, with a rubber band through hole on one side, hang them from hooks in their hotel room or tape it to a mirror! I recommend carrying a small timer with you on trips and leave it where you practice at home. Busy people always put their stressful life styles ahead of healthy habits. 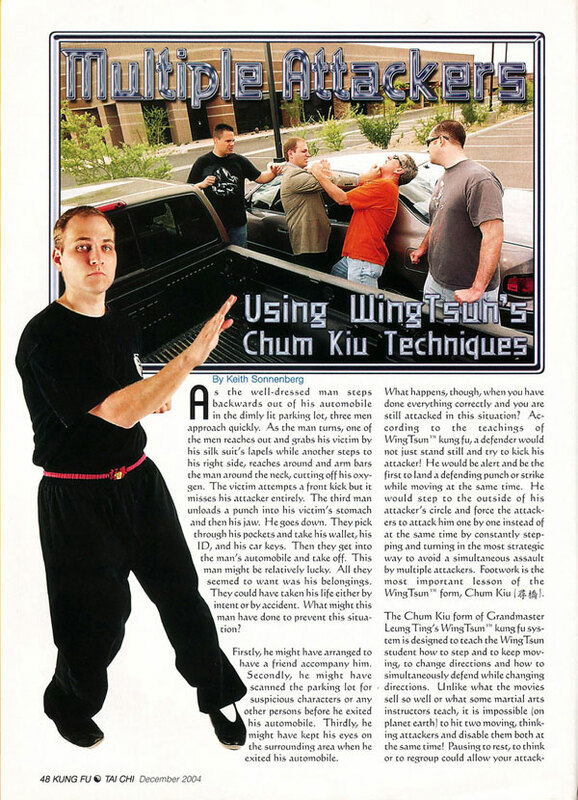 If you begin WingTsun training at your local WingTsun school, it is important to follow through with basic exercises at home. The rationale for this ten minute training is that people always think that they do not have enough time to train or they claim that they do not know what to practice. Carrying this constant reminder with you eliminates those excuses. It is called a ten-minute training so that you know it will not take longer than ten minutes. The timer is to make sure that you do not go beyond ten minutes. 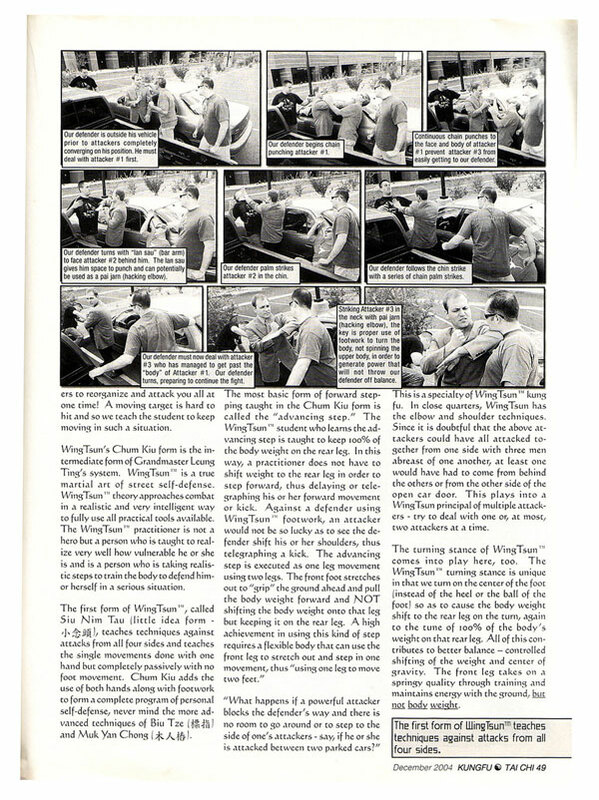 Let’s face it, once you get going, WingTsun training is fun. Many driven personalities will want to go beyond the ten minutes. However if you spend too much time during a busy period, you and your family and associates are going to start resenting all the time spent away from them, especially if you are late for meetings or assignments! The ten minute training is designed specifically for those busy periods. The longer, regular personalized training with your fellow WingTsun students is yours alone at the WingTsun school in your area. This routine will take ten minutes without having to rush through it. Be sure to avoid any tendency to rush through the movements. During Siu Nim Tau, pace yourself and breathe in through the nose and out through the mouth in an easy, natural way. Let the abdomen swell up and follow that with allowing the chest to expand. Let the breath out slowly through the mouth. This is what makes this a mind-body exercise. It will calm you and leave you refreshed. 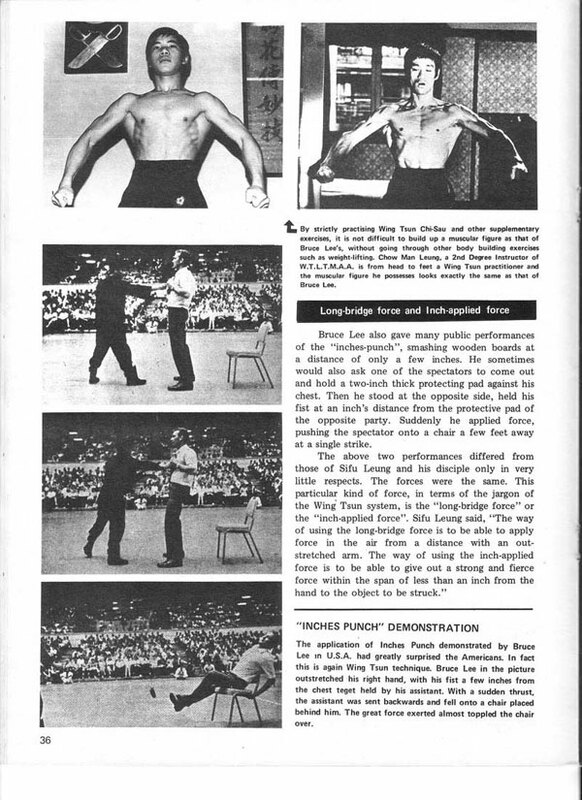 Perform the chain punches at a moderate pace. Make sure to lock out the arm on each punch. Do the forty circling steps in one place, alternating feet. Constant daily practice of this technique will pay dividends down the road. 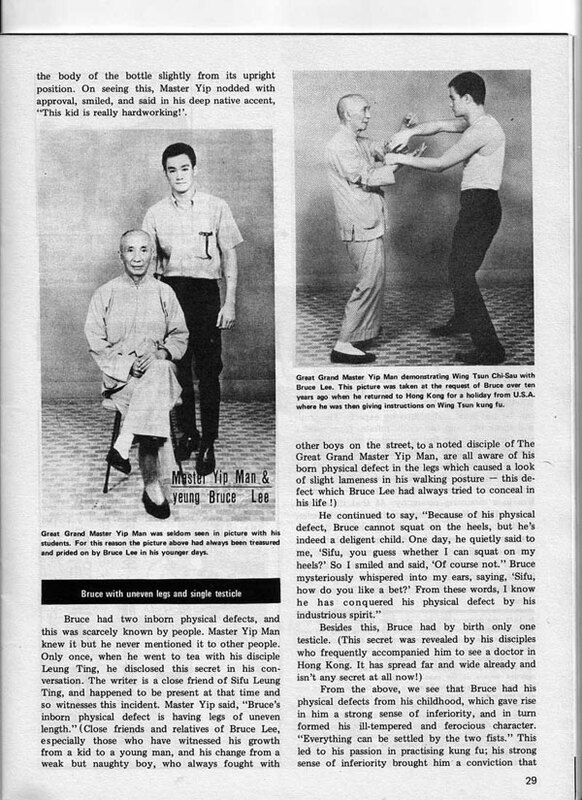 This exercise is so important that the ancestors of this system placed another set of this footwork in the advanced form Biu Tze, learned only by our Technician Level instructors. Turning stance is to be done using the 45 degree turn. Beginners can do this with hands chambered. As you advance, you may use the man sau changing with man sau pointed to a single target on a mirror or on a wall. 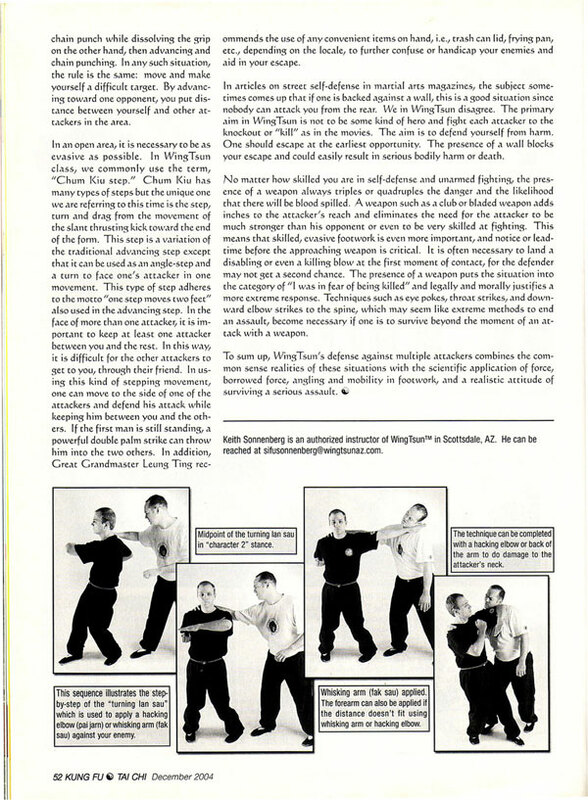 Later, you can use any turning stance hand technique such as tan dar, gaun dar, etc. 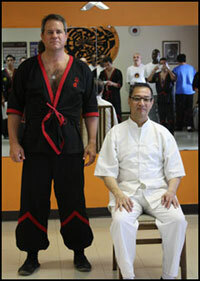 The knee thrusts are an upward thrust of the knee for knee striking to an attacker’s chest. Use the forward stance and do ten, then turn 180 degrees and do ten more, then turn and do ten on that side, then turn again and do ten. Total= 40. Finished! This whole series can be done in a very confined area such as a hotel room. More advanced students can elaborate on this program with similar exercises done with both hands and feet moving together. If you can maintain training with an eye toward a realistic approach to how much you can accomplish during busy and stressful periods, you are far less likely to lapse entirely. 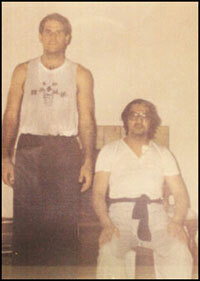 Continuity is one of the vital elements in your continued success with WingTsun training or any physical pursuit. © Copyright Keith Sonnenberg. All rights reserved.